One of the best snacks that everyone likes are crunchy Samosas. 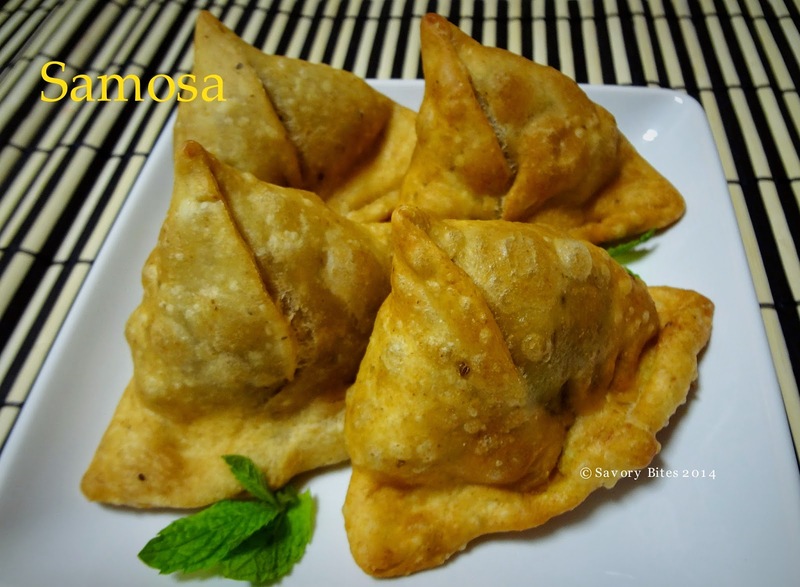 There is wide variety of samosas that you can get - Masala samosa,Moong Dal Samosa,Onion samosa,Punjabi Samosa,each one with a uniqueness to it. 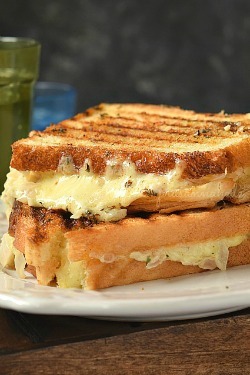 This was one of the requests i got from my friend ...so i made them and turned out yummy!! In Goa (India) and Portugal, samosas are known as chamuças, usually filled with chicken, beef, pork, lamb or vegetables, and generally served quite hot. They are an integral part of Goan cuisine and are a common snack in Portugal. 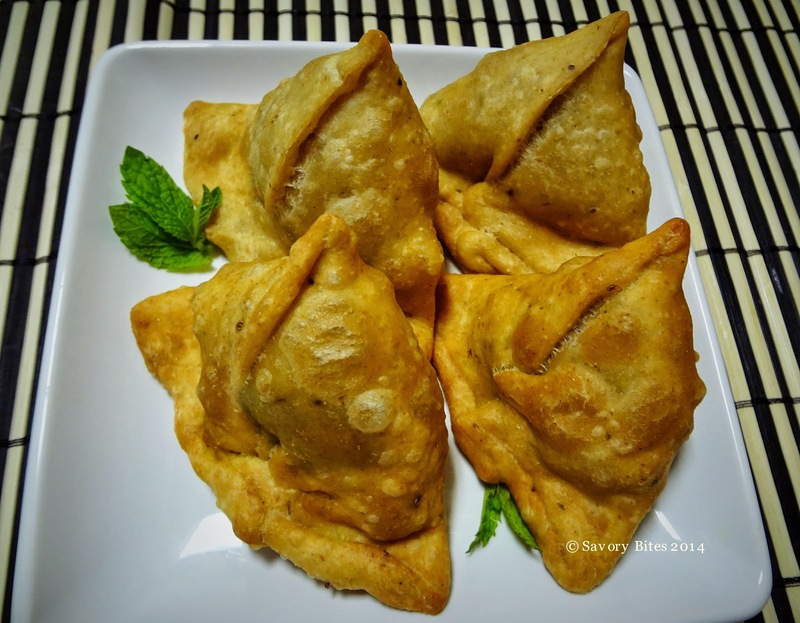 Try out these samosa and if you like them, do make them when you have guests coming over!! In a bowl, add all purpose flour,wheat flour,salt,baking soda,carom seeds,semolina,oil and knead the dough. Add warm water little by little to make dough.Make the dough little hard. Cover it with damp cloth and keep it aside for 30 mins. Meanwhile start to make the stuffing. In a pan take oil and add mustard and cumin seeds. When the mustard seeds starts to crackle then add potato and peas. Add all powdered spices,salt,green chili,sugar and very less water. Once its cooked add cilantro. 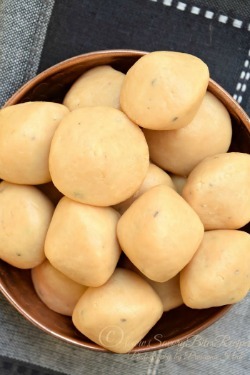 Make lemon sized balls of the dough, roll the balls into small rotis. 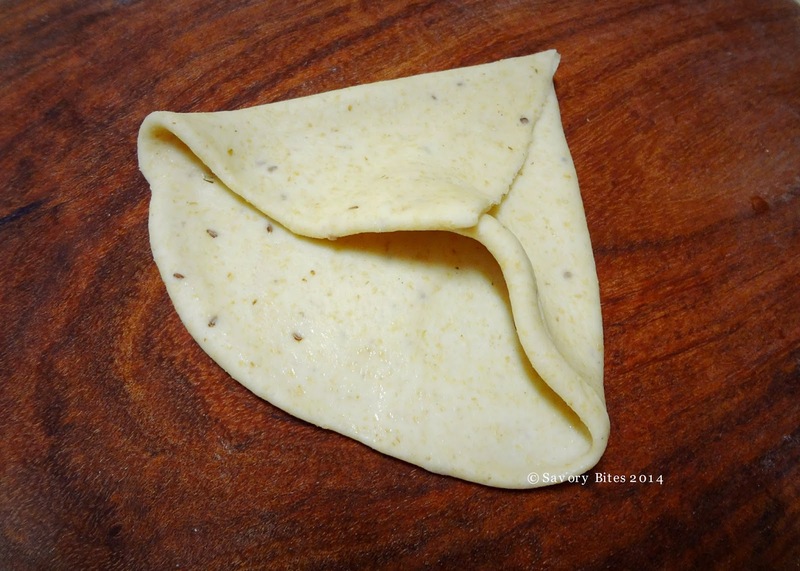 Now with a knife or pizza cutter , cut the roti in a semicircle. 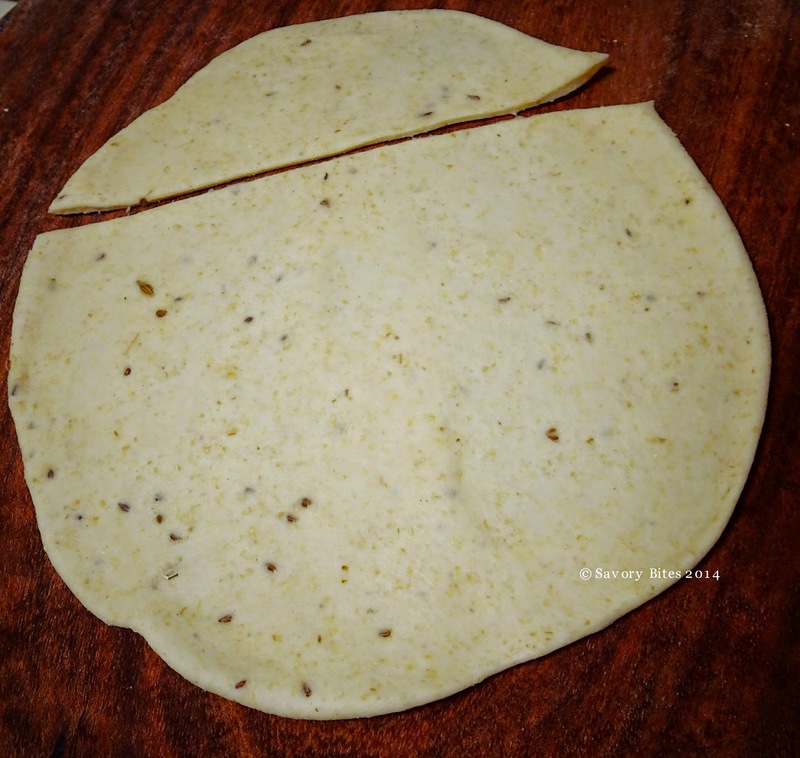 Apply water to the edges of this roti and fold the two edges to make cone. Now put 1 tbsp of stuffing in it and fold the top edge of the cone. Now seal the edges of samosa properly such that it will sit properly. In a heavy bottom vessel, heat oil. Once the oil is hot enough,drop two samosa at a time.Do not overcrowd the pan. 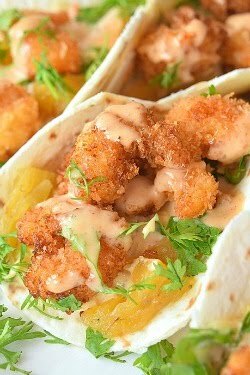 Fry them at medium heat. Do not fry samosa at high heat. Drain them on a tissue paper. 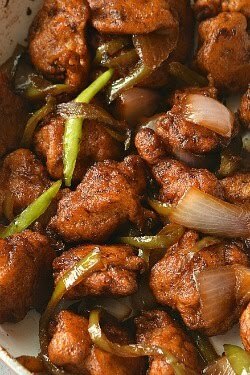 Serve hot with sauce or chutney and enjoy with your tea. 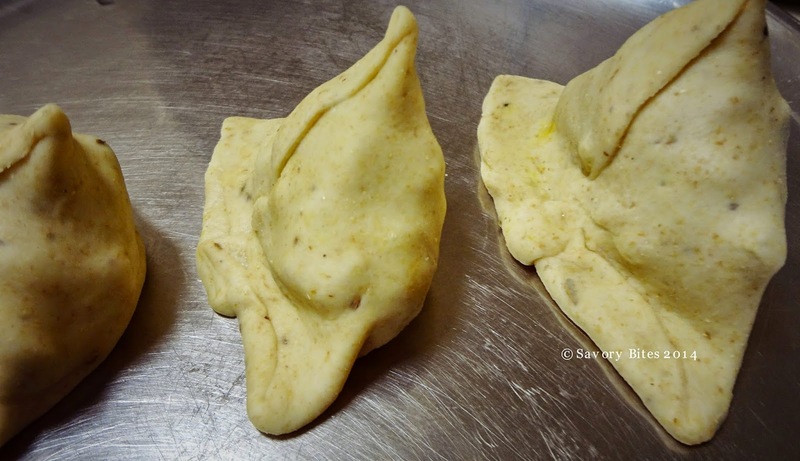 You can optionally use pastry sheets to make samosa but the texture will vary. 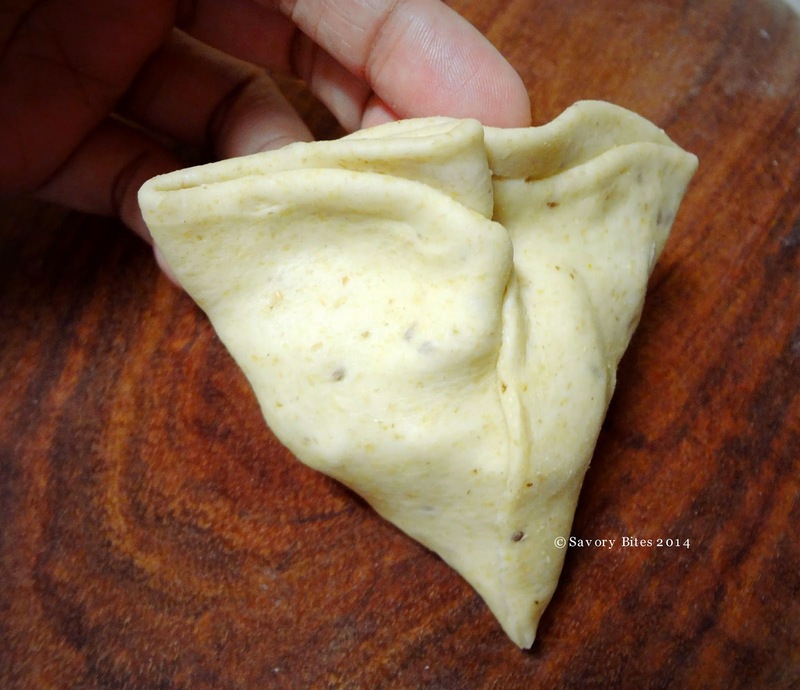 When you are rolling roti to make samosa do not keep rest of the dough open.Cover it with damp cloth . Superb Prasanna! Will try these soon!